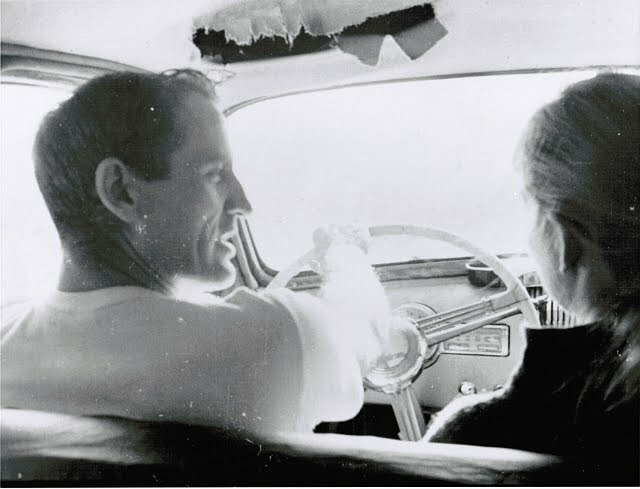 We’ve had a few shots of Neal Cassady on the Ginsberg.org website (2010) for quite some time now with missing details and, in some cases, flat-out wrong information. Not quite sure how we’d had it wrong after all these years, and why Allen hadn’t kept more detailed info on that historic roll of film. At any rate, Charles Plymell took notice – and a good thing too, as he was there when they were shot, and in a few cases even took the photos himself with Allen’s camera. 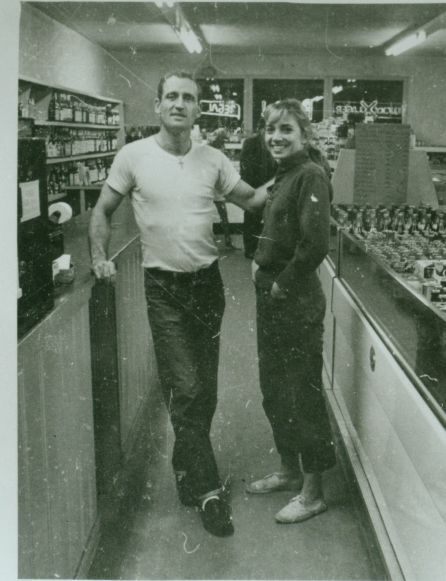 Here’s some fantastic detailed background to these historic shots from the Summer of 1963. 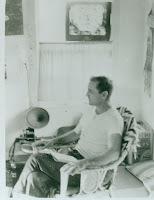 Neal Cassady sitting in chair at Karen Sexton’s house after arriving in Bolinas with Charles Plymell and Allen. 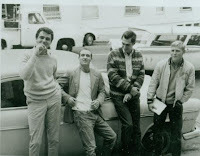 According to Plymell, “Neal had spotted a copy of a Kerouac book and began reading his ‘parts’ to everyone.” Charles may have taken this one, as he’s thinking Allen had stepped outside while Neal was reading.” Summer 1963. c. Allen Ginsberg Estate. Great stuff, Charles and Peter, thanks! (Some meta-errata: "Erratta" is spelled "errata," and "Gogh" is "Gough" unless you're referring to Van Gogh [smile]).